The new Swift Dzire is a significantly more premium offering than the current outgoing edition, adding a well-equipped infotainment console and faux veneer inserts to the compact sedan. 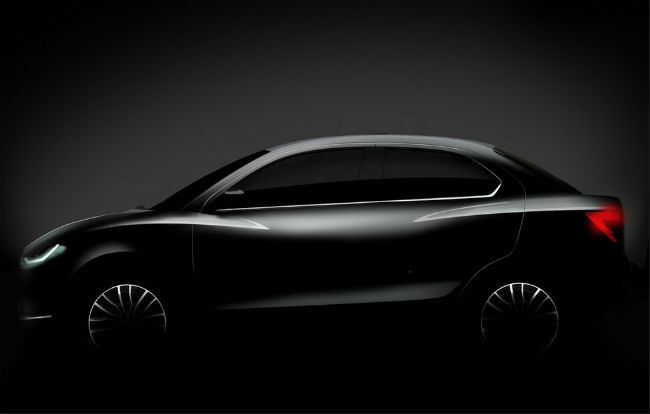 Prior to unveiling the much-awaited new generation Swift in India, Maruti Suzuki has unveiled the new Swift Dzire in India. The 2017 Maruti Suzuki Swift Dzire is the latest entrant to the compact sedan category, and follows a new trend among compact sedans to include more technology and design elements in what is a budget-conscious segment. The new Maruti Suzuki Swift Dzire follows up on new compact sedans like the Tata Tigor and the recently updated Hyundai Xcent, and adds a new infotainment console, multiple design upgrades on the interior, and a facelifted exterior that is rather polarising in terms of opinion. Here’s looking at everything that is new and upgraded in the 2017 Maruti Suzuki Swift Dzire. The 2017 Maruti Suzuki Swift Dzire gets a new infotainment console as standard equipment in its top trims. The console uses a 7-inch touchscreen display, and includes Apple CarPlay, Android Auto and MirrorLink. This is unlike Maruti’s initial infotainment setups that included only Apple CarPlay, as seen in the likes of Maruti Suzuki Ciaz and Baleno. Alongside Apple CarPlay and Android Auto, Maruti Suzuki has also thrown in a native satellite-based navigation unit. Connectivity modes include Bluetooth for wireless operations, USB and aux for pen drives, device charging and analogue audio connectivity. This brings the infotainment system up-to-date with the latest offerings that we have seen. Maruti Suzuki has taken an all-encompassing route with the new Swift Dzire, providing proprietary music and FM/AM interface along with a native sat-nav. For users who prefer their phone interfaces, they will also get the convenience of Android Auto and Apple CarPlay. You also get two 12V power sockets - one on the front pillar and one to the rear, mounted on the rear AC pillar. All of these ensure that you get plenty of connectivity options with multiple infotainment interfaces, along with steering-mounted controls for switching between multiple modes. Other additions include a start/stop button, parking sensor switch and an overall simplistic design that keeps the interiors neat. The interiors receive a significant overhaul that now makes the car look significantly more premium. You get new dual-tone fabric interiors in dark grey and beige, intersected with faux wood trims on the dash, doors and steering wheel. While the dark upper layer ensures lesser reflections under direct sunlight, it also acts as a contrasting offset in the significantly more upmarket cabin. The steering wheel itself looks and feels more sporty, with the flattened bottom section adding easier gripping for tight handling. The AC vents retain the rectangular pattern, and are in seamless form with the new design. It is the exterior of the car that has the most striking facelift. You get a rather elongated and low-slung hood with rounded lines that merge the large headlamps. There is also a significant use of chrome, on the hexagonal grille with four slots and a large Suzuki logo, the chrome lines around the fog lamps adding more definition to the front face. It somewhat resembles the Ford Figo Aspire, but is a bit more protruding as against the swept-back design of the Aspire. The car is also wider and longer in terms of wheelbase, with 30mm more shoulder room than before and 20mm longer wheelbase and seat pitch. The rear of the car looks more like the outgoing edition, although it now resembles the more upmarket Ciaz with the new upgrade. 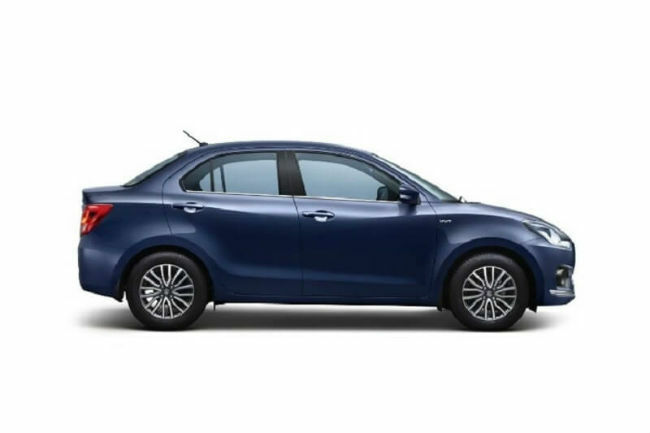 One of the most welcome upgrades, meanwhile, is boot space - the new Swift Dzire has 376 litres of boot space against the 316 litres of boot space in the previous compact sedan. Top trims of the Swift Dzire also get LED DRLs, which are fast becoming norms in this segment. The new 2017 Maruti Suzuki Swift Dzire gets two engines - 1.2-litre petrol producing 83 brake horsepower, and a 1.3-litre Multijet diesel producing 74 brake horsepower. While both the engines remain the same, the new Swift Dzire is built on Maruti’s new Heartect platform, which is significantly lighter. This, in turn, should make for more stable ride experience and driving dynamics, along with better power balance. 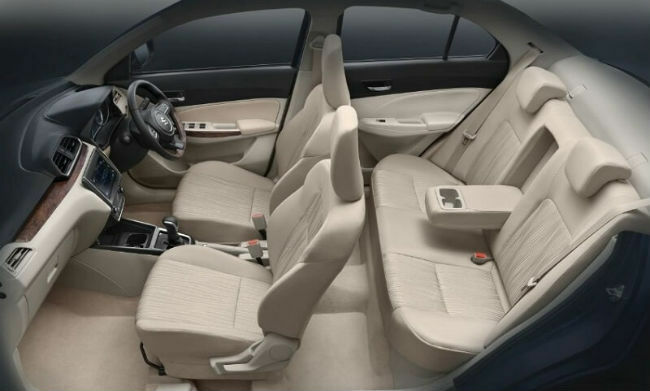 The car also gets all necessary safety features, including dual front airbags, ABS with EBD and ISOFIX child seats in the rear row. The notable inclusion of AMT variants for multiple trims is also a clear indication of preference shifts as more individuals are looking at AT variants to make driving in heavy traffic easier. The new Maruti Suzuki Swift Dzire is a significant upgrade from its previous edition, entering a competition that is steadily infusing more technology and careful styling. 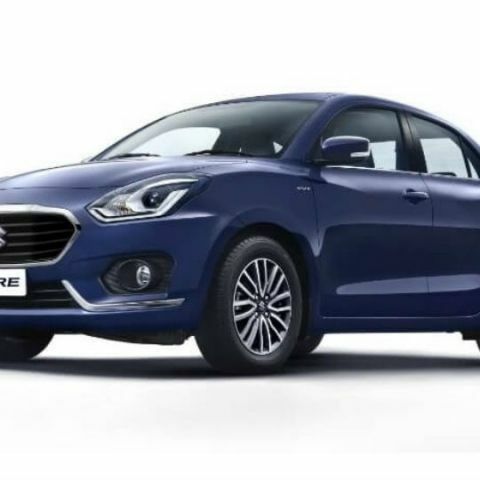 Compact sedans have often been blamed for being a compromised version of sedans, and looking at the new Dzire, it is anything but so. please can you guys suggest me a 2 din stereo player with good features under 15000 rs for new swift dzire ?